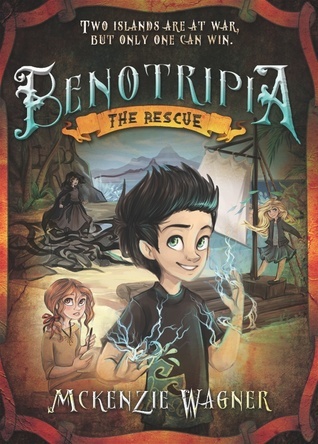 Summary from Goodreads: When her mother—the ruler of Benotripia—goes missing, Roseabelle knows she’ll need the help of her best friends and their combined powers to survive the perilous journey ahead of her, rescue her mother, and save Benotripia! Written by a young author, this exciting adventure story pulls you into a true fantasy world. A suspenseful and addicting read! Cathy’s Review: Roseabelle lives a fairly normal life, she goes to her school, or training to use her talents with her personal trainer Shelby, she has a couple of best friends, Jessicana and Astro, and her mom, Danette is the queen of their country, Benotripia. Life couldn’t be better, until one afternoon when Shelby disappears for the afternoon, Roseabelle is sent home and discovers that her mom has been kidnapped by another country. 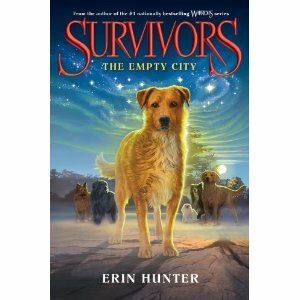 She, Jessicana and Astro must journey to that other country, Darvonia, and rescue Danette before it’s too late. On the way they will have many adventures and there will be peril and treachery. Will the three young friends make it? This was a really cute book. I thought that it was well written, the author is only 11, I think that if she can write this well and show this much imagination at this age, we all better watch out, because she’s going to be writing some amazing stuff. The story was easy to follow, I thought it was engaging and I’m a mom, can’t wait to find out what my own 11 year-old thinks of it! About the author: McKenzie Wagner is eleven years of age and has adored reading since she was four years old. Her love of books inspired her to write a book of her own and she completed the first book of “The Magic Wall Series”, “The Magic Meadow and the Golden Locket” at the early age seven and the second book “The Blue Lagoon and the Magic Coin” shortly thereafter. She wishes to obtain an English degree and teach elementary school and continue in her pursuit of her love of writing and is already working to obtain college credits towards her degree. She currently resides in Utah, with her mom, dad, grandma, and her eight-year-old brother, Ty.